It's the 4th of July, Independence Day here in the US, a day to celebrate all things American. And in my house, that starts with music. But it's also Friday, which is our day here at WYMA to feature a Rolling Stones song. Yes, those Rolling Stones, the Union Jack-waving bad boys of old Britannia. Something's gotta give here. The US and England share a common history, the same language, and have fairly similar cultures compared to most counties. Of course, we did overthrow them by violent revolution as I recall. Which is more or less what Independence Day in the US is all about (just add fireworks, the Stars and Stripes, hamburgers on the grill, and beer). Can we here at WYMA be true to our nation and still honor some of England's most famous sons today? Yes we can as President Obama would say. 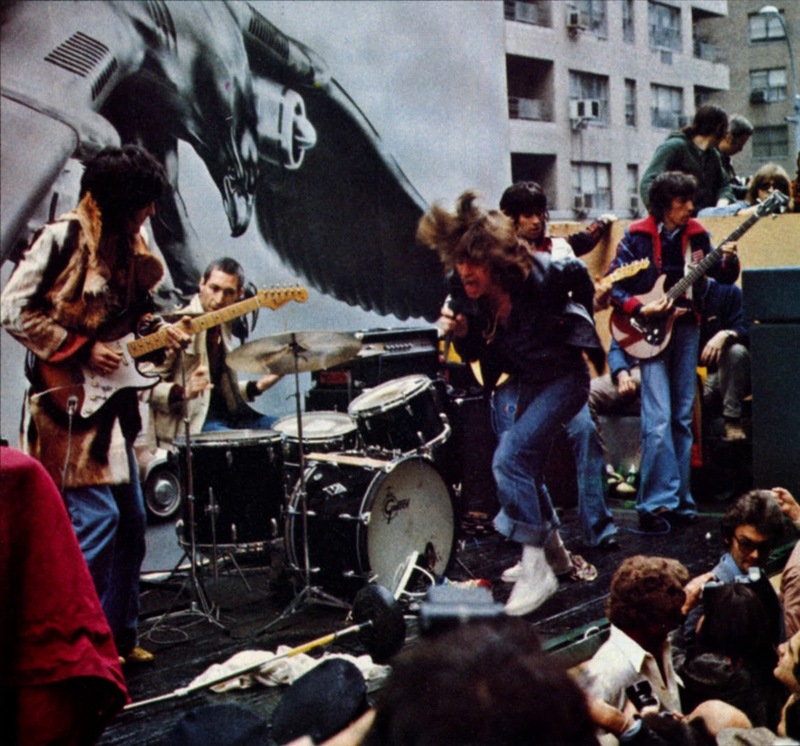 The Stones loved America, were damn near obsessed with American music - blues, R&B, Motown, country. They recorded extensively in Los Angeles, and seemed to have a love affair with New York City. And they knew the history of and their way around Memphis, Detroit, Muscle Shoals, and Chicago too. So, yes we can let the Stones into the 4th of July party today. "Far Away Eyes" was released in 1978 on Some Girls. We'll forgive the fact that it was recorded in Paris. Ron Wood's pedal steel guitar lends a nice Bakersfield touch to it. But we need to get an American band in here today too, and we're bringing in one of our favorites, R.E.M.. In a weird way, stay with me here, I hear Mick from "Far Away Eyes" in Michael Stipe's vocal on a similarly exaggerated song, "Voice of Harold". Stipe is reciting the words of a printed sermon he found left from a Christian music session at the North Carolina studio where Reckoning was recorded. The music is one of the newly recorded songs from Reckoning "7 Chines Brothers". It's always been one of my favorite R.E.M. moments, inspired and weird and somehow perfect, a unique piece of Americana, the old South and the new South crashing into each other. Happy 4th of July wherever you are. Those who have followed Dan Michaelson's career may be of the opinion that songs of optimism and happiness don't come naturally to the British musician. If so, they will be surprised by "Burning Hearts", the latest offering from Dan Michaelson & The Coastguards. Grounded by Dan's compellingly gritty baritone, which happily reminds me of Calvin Johnson of Beat Happening, the song features a couple that resolves to stay together no matter what happens. The positive theme is fused with an upbeat tune and a breezy, jangling arrangement, and if Dan isn't careful it may give him a reputation as a hopeful romantic. "Burning Hearts" will be available August 4, while Distance, the new album from Dan Michaelson & The Coastguards, will be available August 18 via The State51 Conspiracy label. The Coastguards for the recording were Romeo Stodart (bass), Henry Spenner (drums), Laurie Earle (guitar/piano), Horse (guitar/pedal steel), Gabriel Stebbing (cello), and Johnny Flynn (violin). Previously, Dan was a member of Absentee, which released five country-tinged indie rock albums in the '00s. Distance will be his fourth album with The Coastguards. 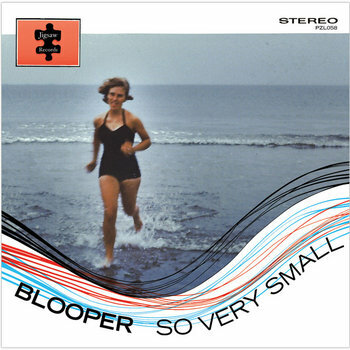 Seattle's Blooper is a band I can count on to deliver just what I like - crunchy British Invasion inspired garage rock and surf pop with plenty of reverb. It has earned them a about a half-dozen appearances on these pages, and I suspect that as long as they are making music and we are writing about music, Blooper will be here. The latest offering from frontman Adriano and his co-conspirators Chris and Darrin is the So Very Small EP, released via Jigsaw Records in digital and CD formats. With four tracks, it provides the perfect jump start for your July 4th holiday weekend. "Go Outside" is a '60s British Invasion nugget that may cause you to involuntarily pack your car for the beach. Garage rock with crunching, ringing guitars is on the menu for "Tinted Windows", while "Bummer" is a racing surf rock instrumental. The reverb is front and center for garage rock closer "Coming Home". Hit the links and buy some tunes --consider it an investment in your summer. Yes, my taste, and thus the focus of my writing here, runs to guitar based indie bands. But a few times a year an Americana/country album grabs my musical soul and pulls me into its world. Among others, Doc Feldman did it last year (review here) and this year I'm feeling emotional resonance with Caleb Caudle's Paint Another Layer On My Heart. If I understand the relevant biography correctly, Caleb is a native North Carolinian who now resides in New Orleans. And Paint Another Layer On My Heart is his musical homage to his new home. New Orleans should be very honored (I'd try this tactic next time I move if it weren't for a troubling talent deficit). 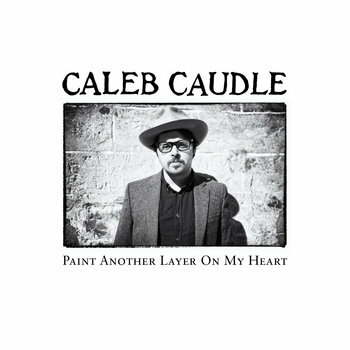 Caudle has that rare ability to grab the essence of an emotional moment, a significant reflection, or a wry observation, and package it in a lyric which is both economical and richly textured. When teamed up with good melodies, his own expressive and sincere vocals, the quality performers than never seem in short supply in the American south (including fine guest vocals from Lydia Loveless), and spot-on engineering and mastering by Jon Ashley and Evan Bradford, respectively, the result is an album that connects with the listener on a personal level. Themes of relationships and distance abound, but this album speaks more to hope and patience that loss and despair. Get this album, pour a few fingers of something strong, and put on the headphones. And relax, because you likely will have a long relationship with this music. The players for Paint Another Layer On My Heart are Jordan Powers (bass/vocals), Jack Foster (drums), Tommy Scifres (electric guitar), Whit Wright (pedal steel), Greg Herndon (piano/organ), and Lydia Loveless (vocals). The album is out now via This Is American Music. Caleb's previous album was Tobacco Town, which also was well-received in Americana circles. If you are inclined to catch Caleb's live performance of songs from the album, his remaining tour dates are below. Courting Strong is a sleeper album. You have seen little press about it, but it will be on some year-end lists with very sincere and kind words that likely will make you think that you really have missed out on something. Of course, that is because you really would have missed out on something. Except that now you won't because I'm telling you. It may ruin that end-of-the-year-surprise-to-discover-you-are-a-dolt, but you may do something else to earn that honor anyway. For my part, I am confident that I will sink to the occasion in typical fashion. However, back to this little gem. Martha, the presumably proud creators and performers of Courting Strong are three men and one woman from Pity Me in the United Kingdom. Their songs address growing up in a small town and not completely fitting in. The vehicles are pop punk tunes bursting with buzzsaw guitars, pop hooks and twee vocals. You may find some similarities to The Buzzcocks, Joanna Gruesome or Seattle's Tullycraft. For my money, what causes this band to rise above their peers is the quality of their tunesmithing and passion of their performances. But you don't have to trust me -- I have three songs embedded below and you can stream the entire album at the Bandcamp link. Martha are Naomi (bass/vocals), Nathan Griffin (drums/vocals), J. Cairris (guitar/vocals) and Daniel Ellis (guitar/vocals). Courting Strong is out now via Fortuna POP!